Store Home > FOR TAT/TW812 - Tuff Writer-Side Entry Tatum 8 1/2" x 12"
Opens like a book with two storage compartments. Bottom compartment holds 1" of paper. 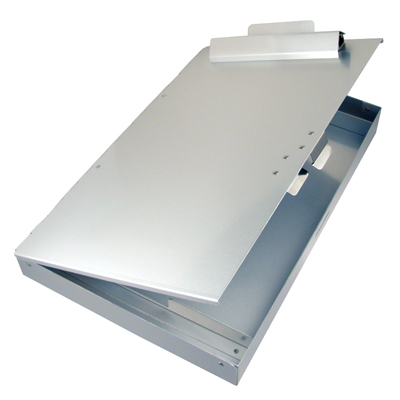 Removable upper compartment holds 7/16" additional sheets. 1" capacity cover clip. Secure lid latch.